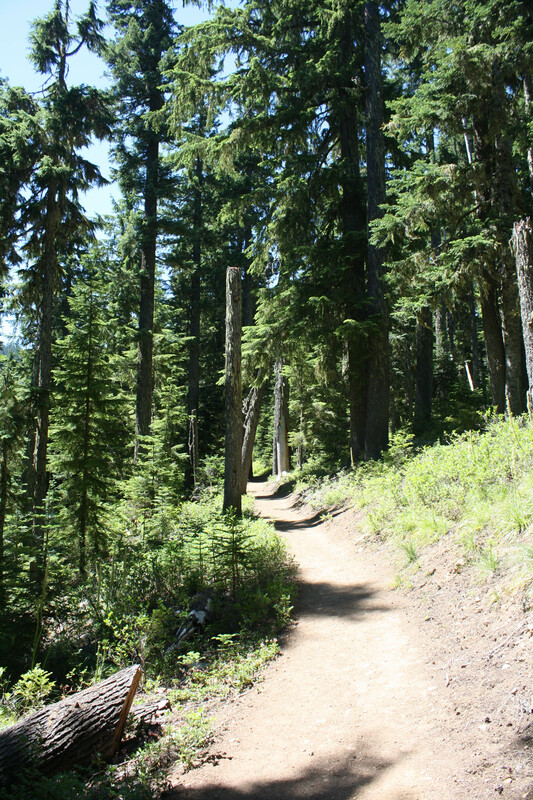 Michael and I both had the Friday before July 4th off from work and it we wanted to go for a hike, preferably somewhere not quite as hot as Portland was supposed to be (90+). I thought going up to the mountain would be a good idea. 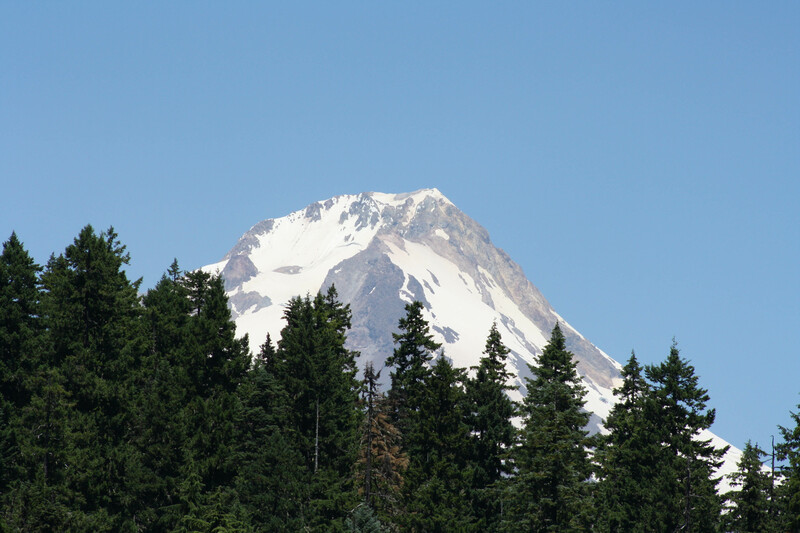 Higher elevation, trees to shades us, all sounds good right? 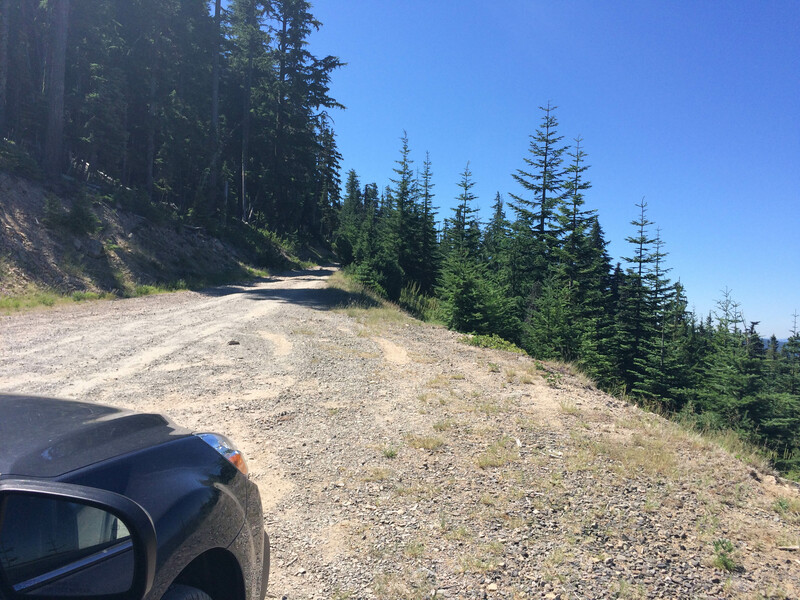 We got up early and tried to get a headstart on the heat of the day but various things delayed us and we didn’t end up getting to the trailhead until nearly 11am! 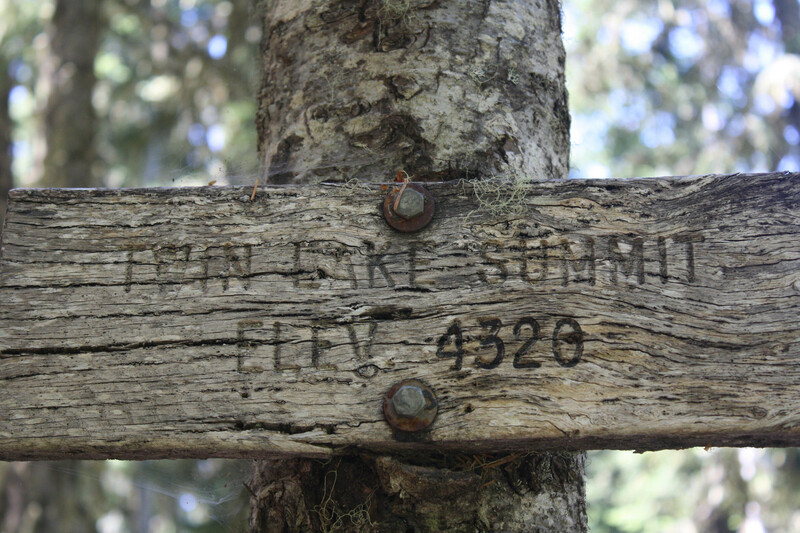 The hike I’d picked was Frog Lake Butte Loop. The directions I had were a little iffy and we ended up on a super scary one lane dirt and gravel road on the side of a cliff! Seriously, certain death. The road was super bumpy and even though it was only a mile to the end, it took us forever because Michael had to drive so slow. We realized pretty quickly it was a wrong turn but there was nowhere to turn around until we got to the top. It was very scary. 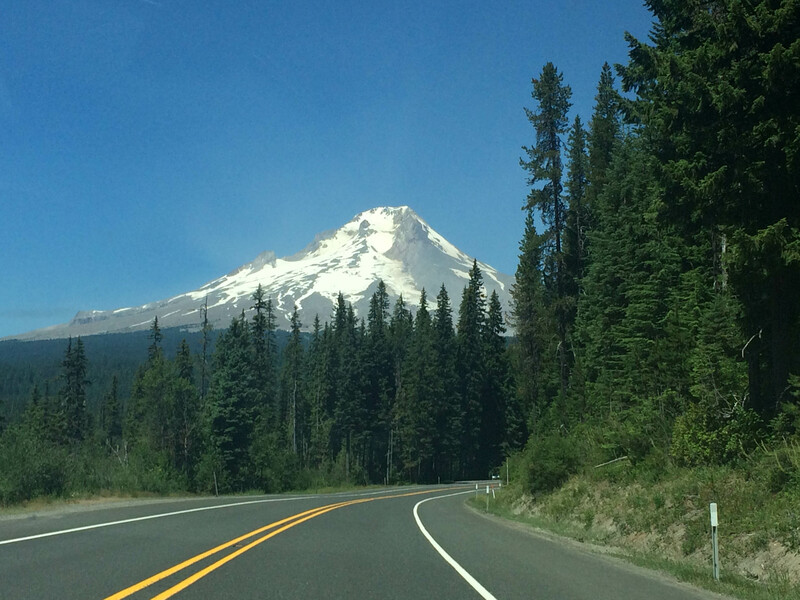 Once we turned around we drove back down the death road and parked at the Frog Lake Sno-Park lot. It was a huge lot and mostly empty except for maybe a dozen cars. 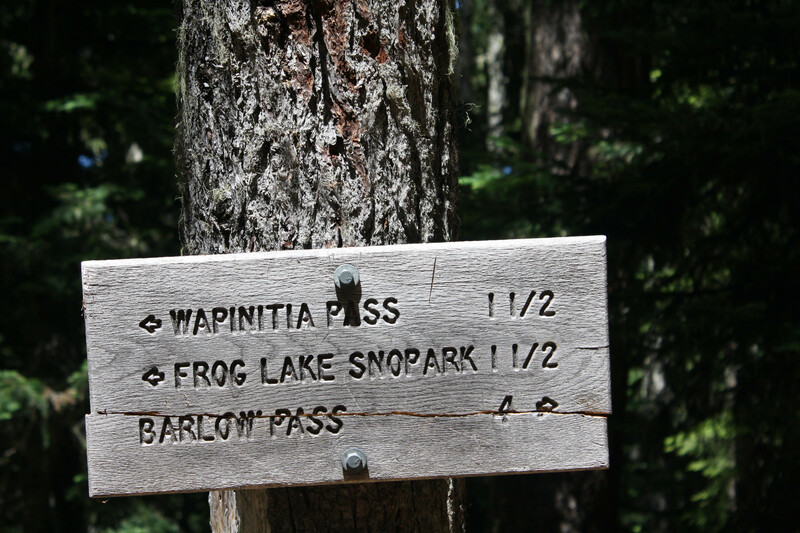 Anyhoo…we started up the trail at what I THOUGHT was Frog Lake trailhead (there was even a map at the trailhead) but it turned out we did Twin Lakes instead, which was fine. 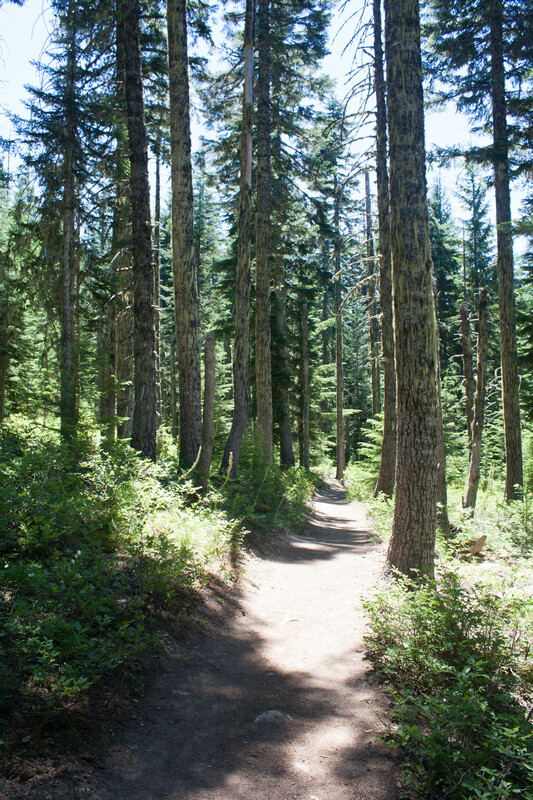 We hiked through the forest and it was pretty shaded and there was a little bit of a breeze which was nice because it was in the 80’s. I thought that sounded perfect. 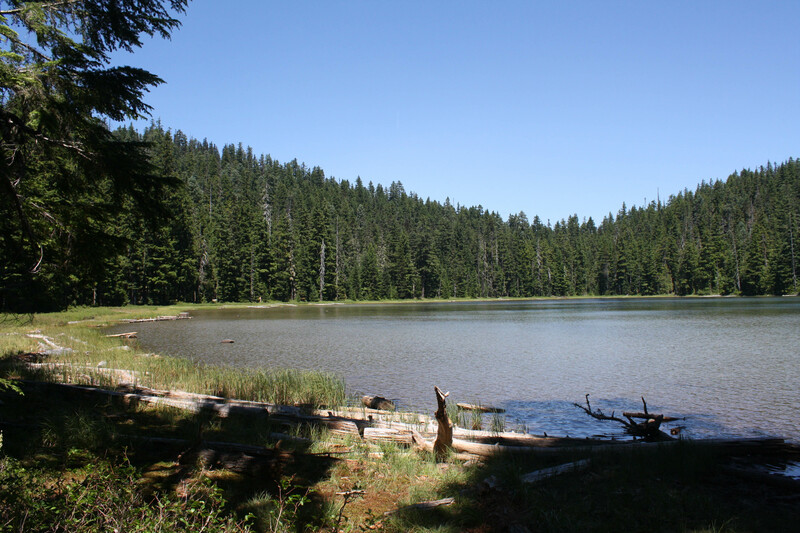 1/2 a mile to Lower Twin Lake–not too far and the perfect spot to have a picnic lunch. And maybe cool off. The trail leveled off for a bit and then started to go downhill. At the summit we were at 4320 elevation! It was hot and as we climbed I noticed that it was slightly harder to breathe–not difficult but just not the quite the same as at sea level. 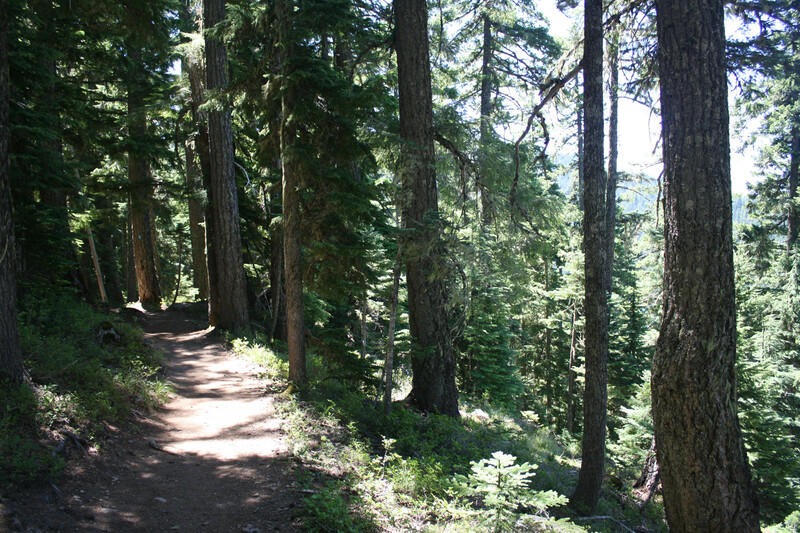 Most of the trail was shaded, thankfully, but when we were in direct sunlight it was HAWT. We stopped a LOT for Bella to rest in the shade and drink her water. I brought two large water bottles just for Bella in my pack and then Michael and I shared the Camelbak water between the two of us in his pack. And it was the first time we’ve drank almost all of the water in his Camelbak. 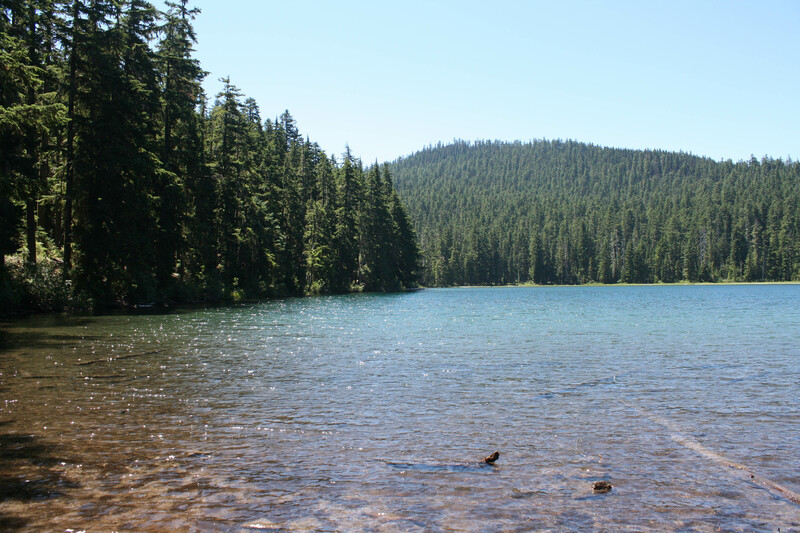 We went down the trail and then all of a sudden we saw glimpses of turquoise and blue–WATER! 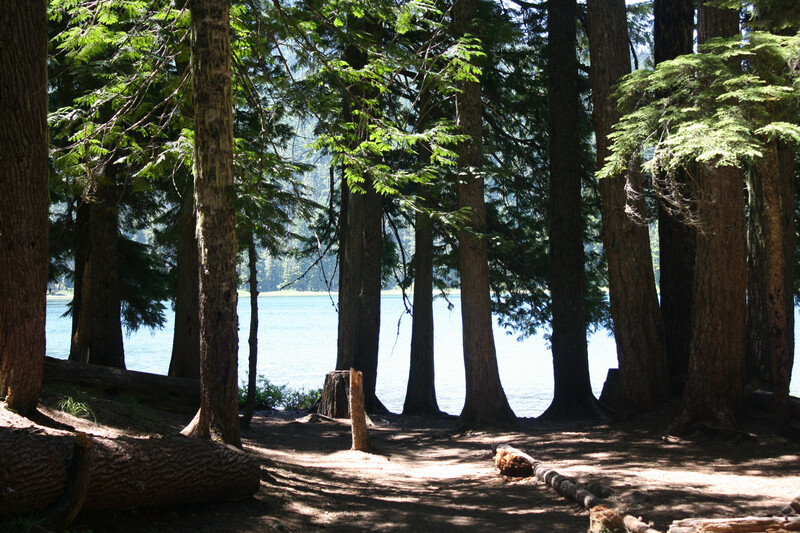 As we descended into the small campground and picnic area we saw the shimmering water and it looked so inviting! I wished I’d worn my swimsuit underneath my clothes. Next time! Lower Twin Lake was so gorgeous! My photo does not do it justice, trust me. It was so peaceful and quiet. You could hear the sound of the wind in the trees, the gentle lapping of the water on the shoreline and birds in the distance. There was one other family there camping along the shore and a few hikers and fishers passing by the lakeshore as they continued on the trail but other than that it was pretty solitary. If you want to see a short video of the lake and where we had a picnic, check out my Instagram. The place had so many dragonflies! 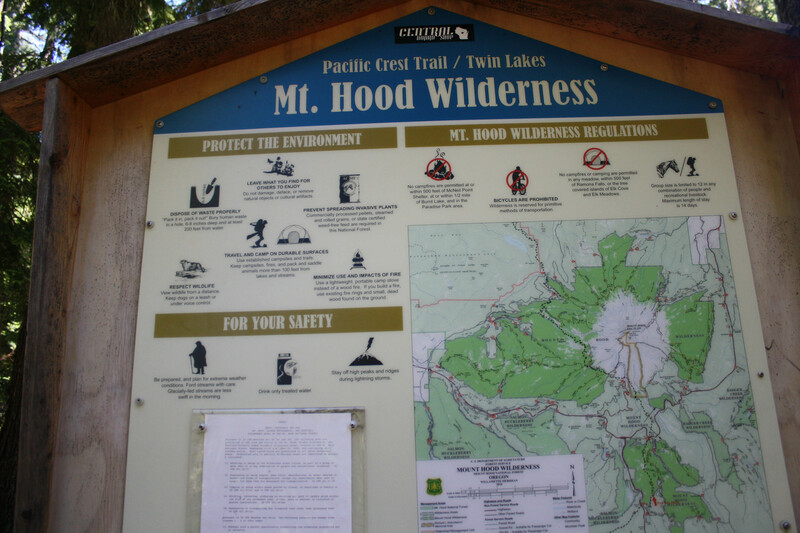 It was such a nice place to hangout I kind of wanted to stay there…but we continued on after lunch and decided to go back up to the main trail and continue on to Upper Twin Lake. We were pretty high up on the mountain at this point. 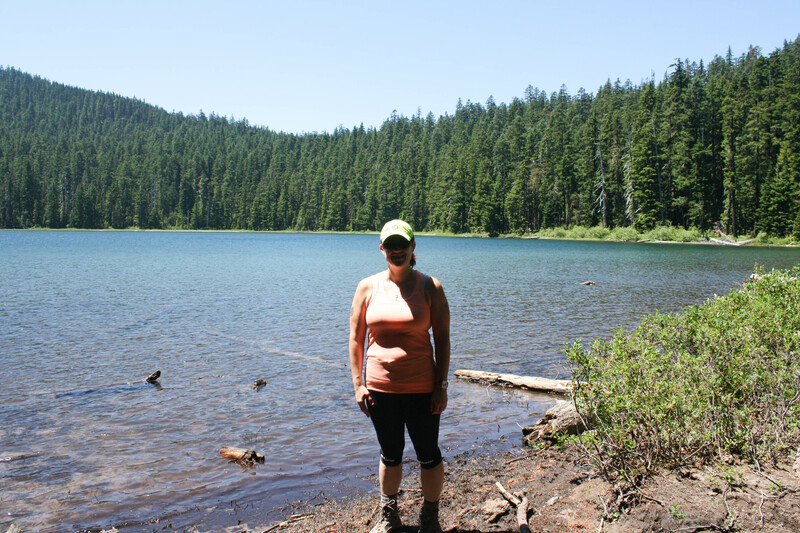 The trail started going back up hill and then it leveled off again and started going downhill to the other lake. 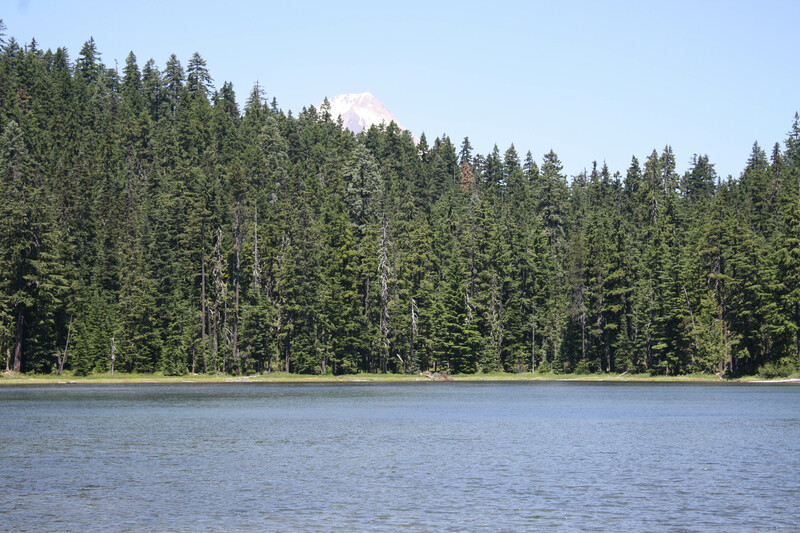 This time we got a small view of Mount Hood from the lake! Upper Twin Lakes was even quieter. There was one group of people setting up camp. There was a woman hiking with her dog and two guys who had set up hammocks next to the water and were drinking beer (smart thinking!). There was a family swimming in the lake and that was it. We ended up walking all the way around the lake, which we think was maybe 1/2 a mile. At this point I really was kicking myself for not wearing a swimsuit. It looked like so much fun. So at this point it was starting to get late-ish in the day and it was much hotter than when we started so we turned around and headed back. 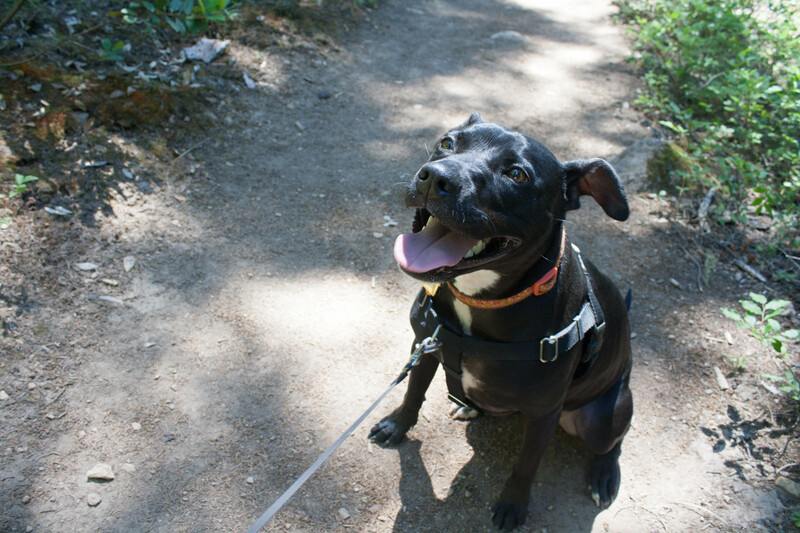 My honey bunny was super excited to be out in the woods! She’s such a trooper. 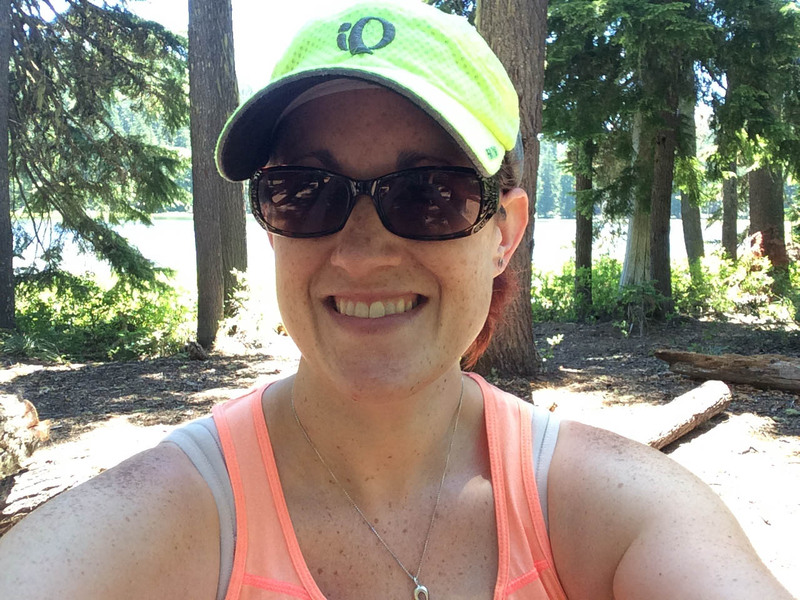 She’s doing so much better with strangers and dogs she meets on the trail. She can go the distance without getting too tired (dare I say, she’s growing up…). 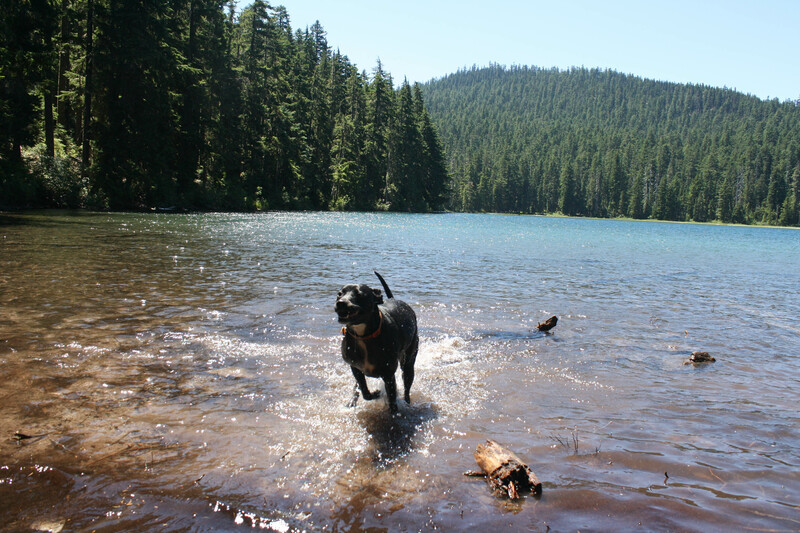 She had a lot of water breaks and I think cooling off in the lake helped a lot, too. There was something kind of magical about this hike. 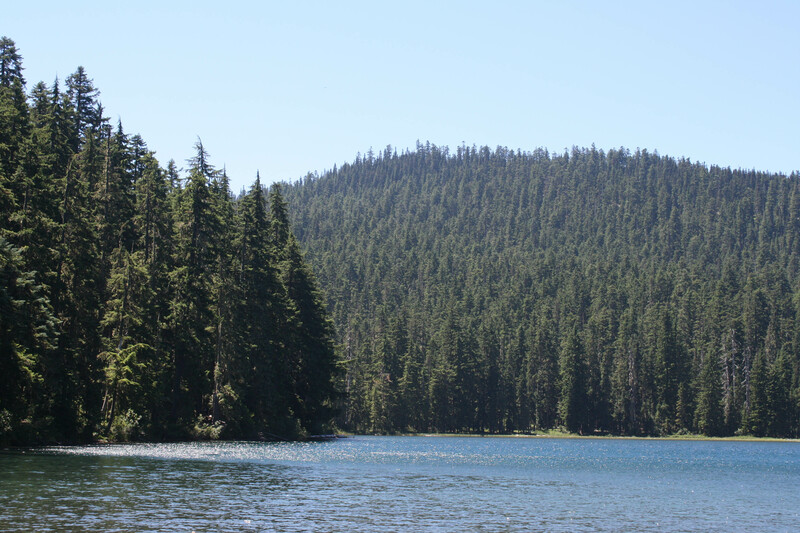 I can’t describe what…maybe it was the lake, maybe it was the unique smell of the hemlock and pine trees, maybe it was just being so high up on the mountain, I’m not sure what. We got back to the car and Michael got the AC going on full blast, we put Bell in there with some fresh cold water while we changed out of our dusty boots and then it was time to head home. Woo hoo! 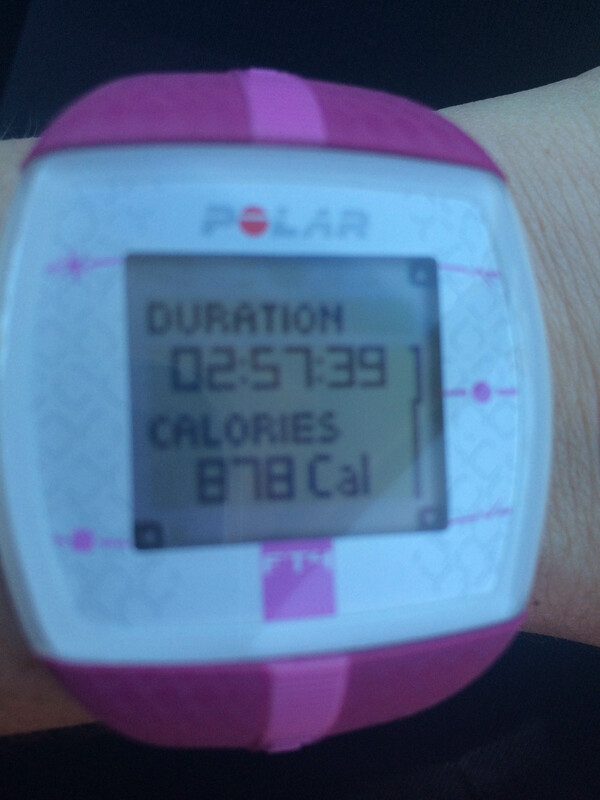 It sure didn’t feel like we’d hiked 6.5 miles! It felt more like 4 honestly. I think all three of us might be seeing the benefits of hiking most weekends all winter long! 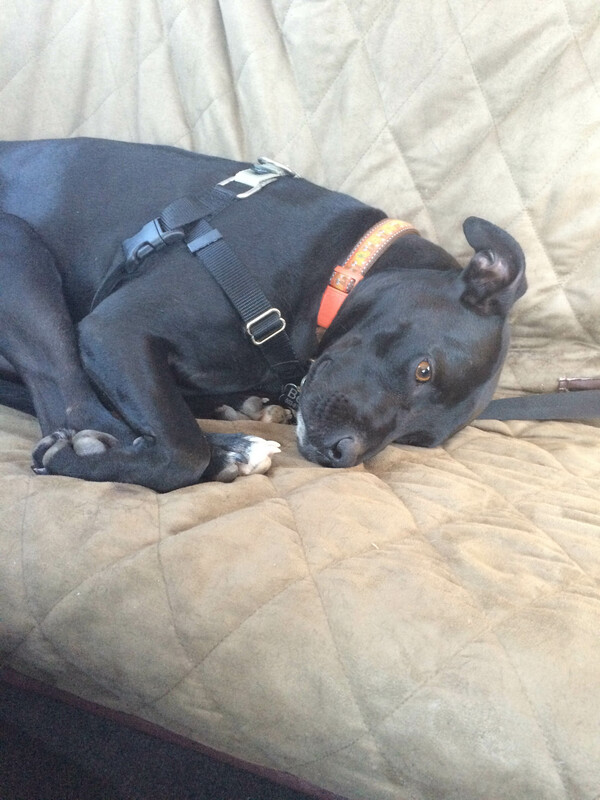 Little Miss napped in the car the rest of the way home. Then bath time and nap time! 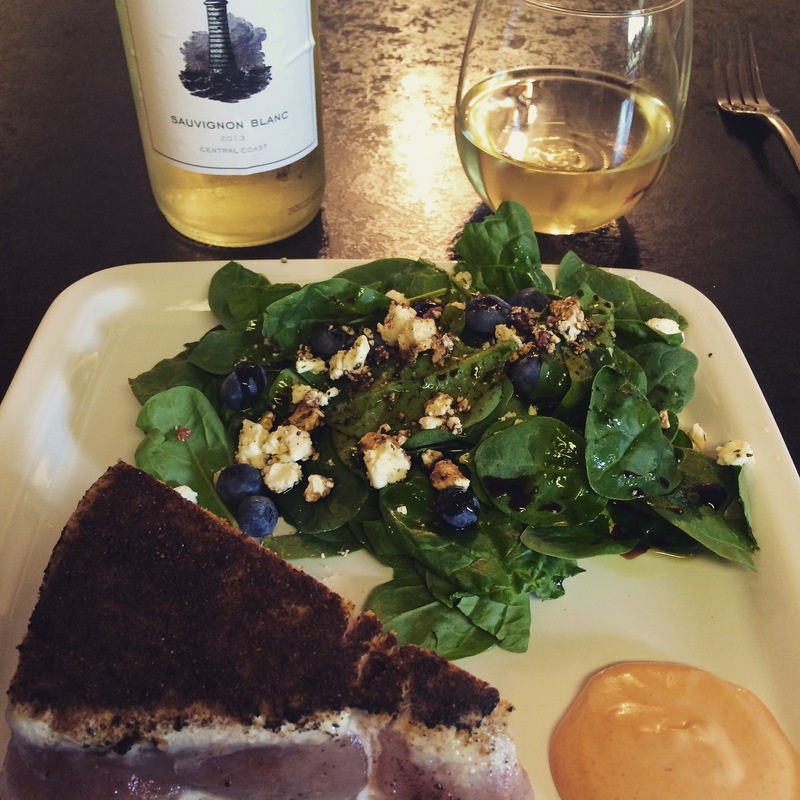 For dinner Michael seared some Ahi tuna steaks with blackening spice, I made a spicy mayo sauce and a spinach salad with feta and blueberries. It was a delicious dinner and really hit the spot. We watched a few episodes of Game of Thrones and called it a night. All three of us were pooped. I have to say that this might be my favorite hike of this year! It wasn’t super strenuous, the picnic lakeside and the gorgeous views were a huge payoff and it wasn’t overly crowded. 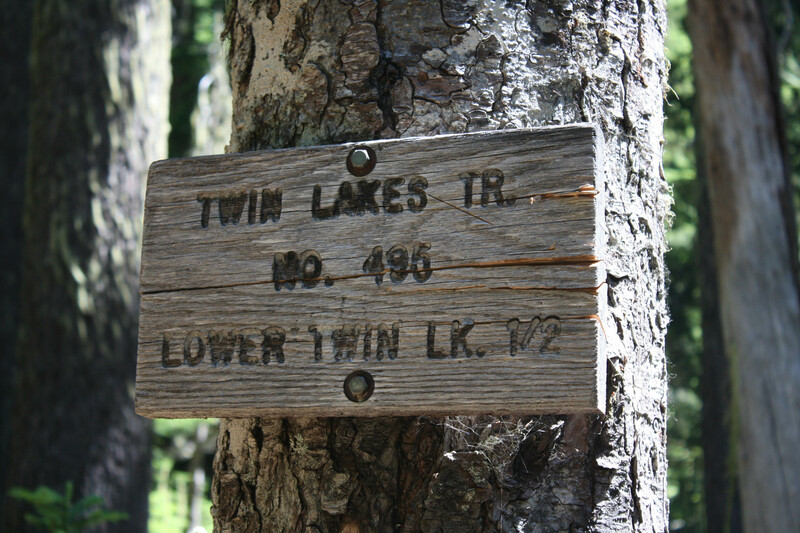 I’m kind of glad I screwed up the directions and we went to Twin Lakes instead! 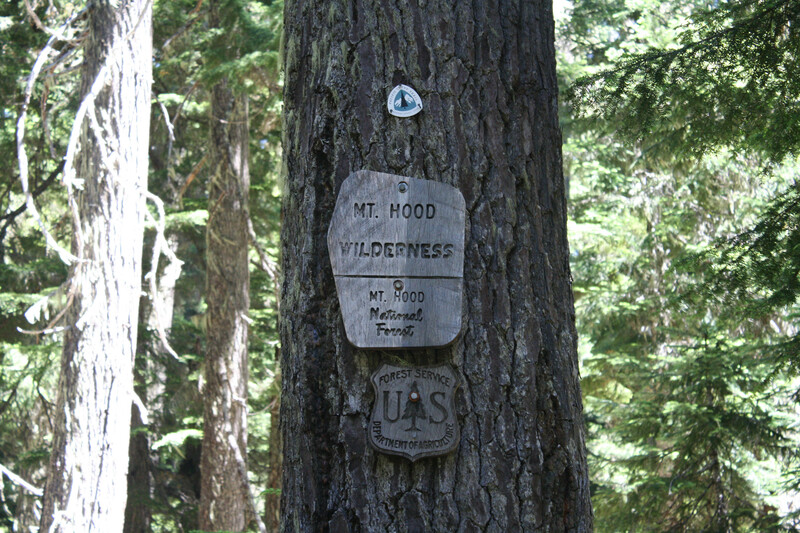 This will be a hike we do again! I loved this hike, what a wonderful one! 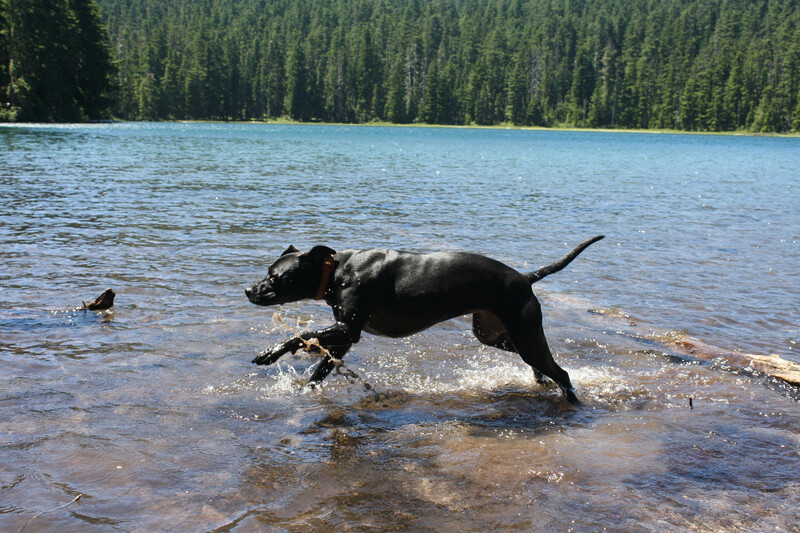 And I loved Bella playing in the water, great shots. Thanks Fran! It was a fabulous hike. I think we are going to do it again soon. Oh little miss looks so so happily tired. 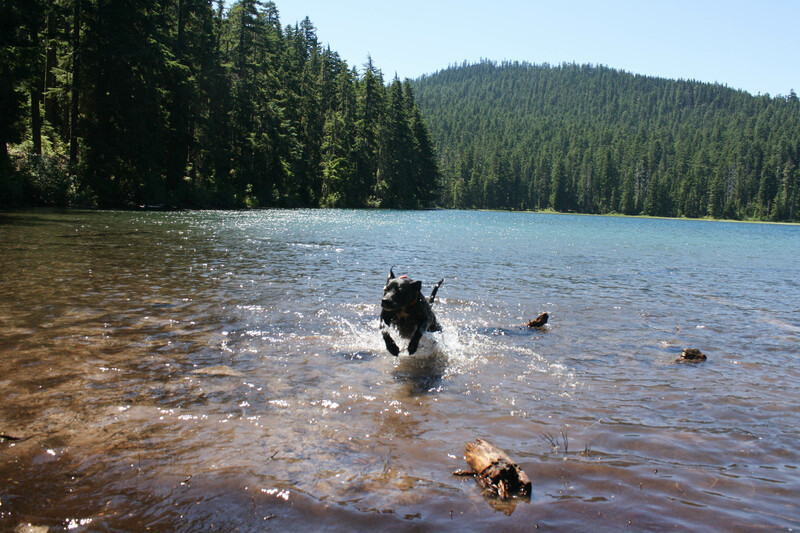 I need to take the goldendoodle MORNING HIKING this week before the heat. She LOVES hiking. It was a good one and Bella had a blast.